Gardener is usually a murderer. Fortunately, in our case, we will not even do murder investigations, but we will devote ourselves to seeding, growing, looking for and then harvesting our fruits. The only thing, that we will eventually kill is the resulting products of our work. Besides, looking at a sweet banana, a juicy papaya, or a delicious strawberry, we would commit at least a little murder. 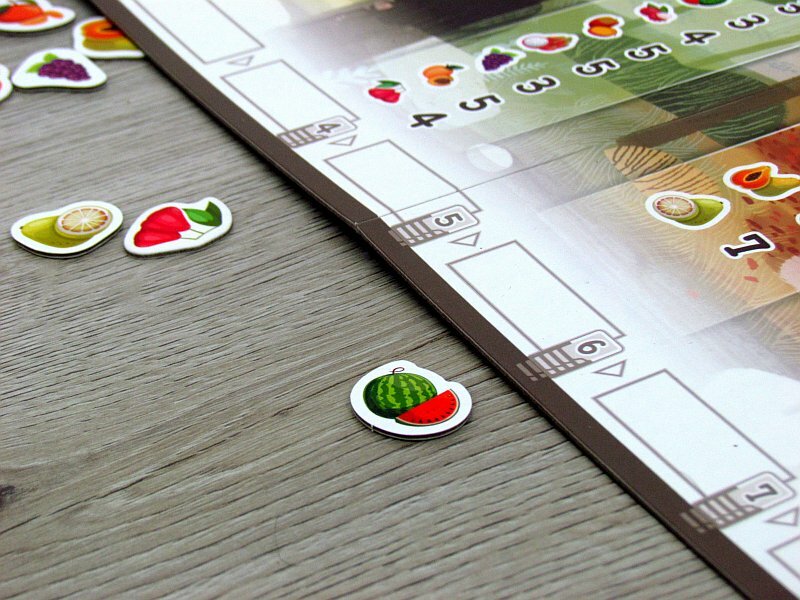 Fruit is the main theme of the board game Harvest Island, which was introduced at the Spiel 2017 Fair in Essen. Chih-Fan Chen, who created it under the banner of Big Fun Games for the exotic Taiwanese boarding world, is hidden behind the game development. Illustration was then taken over by Cinyee Chiu. 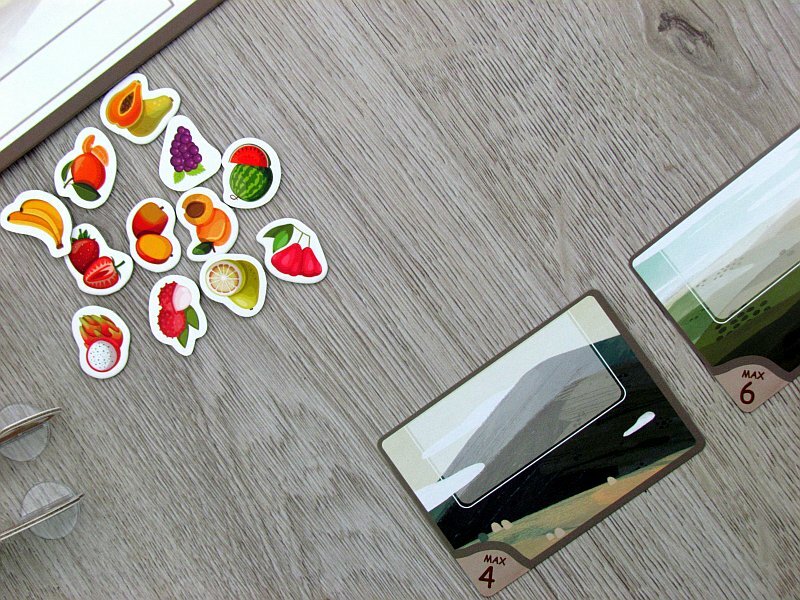 In a box covered with pictures of various sweet natural goodies, the player gets a game board, which is to be placed in the middle of the table. This is primarily an overview with only card spaces. For each of the four columns, that are dedicated to seasons, participants will match the corresponding card deck, that needs to be shuffled before. These are the stacks of fruit and weather cards together. Under the board, player places crop token for each type of fruit, as well as tokens in plastic stands bearing name of the harvester animal medals. 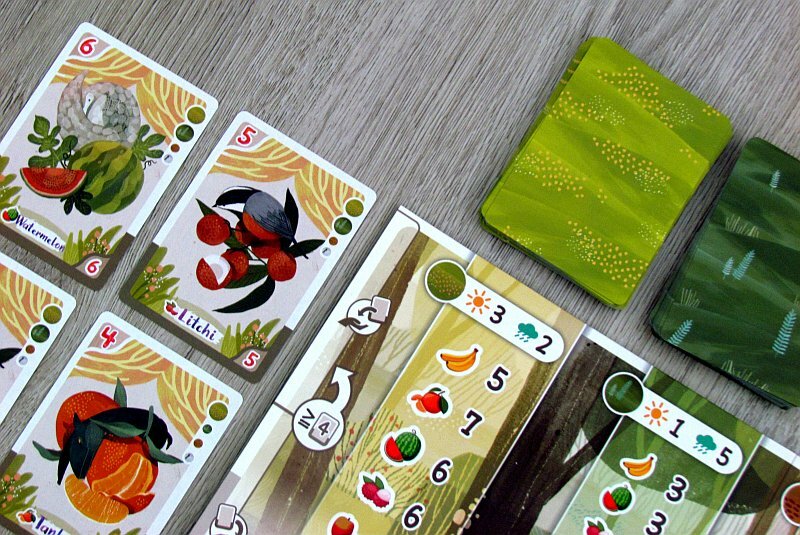 To the left, player then reveals top cards of the fruit from the spring deck – two in the stock row and other three in the warehouse. 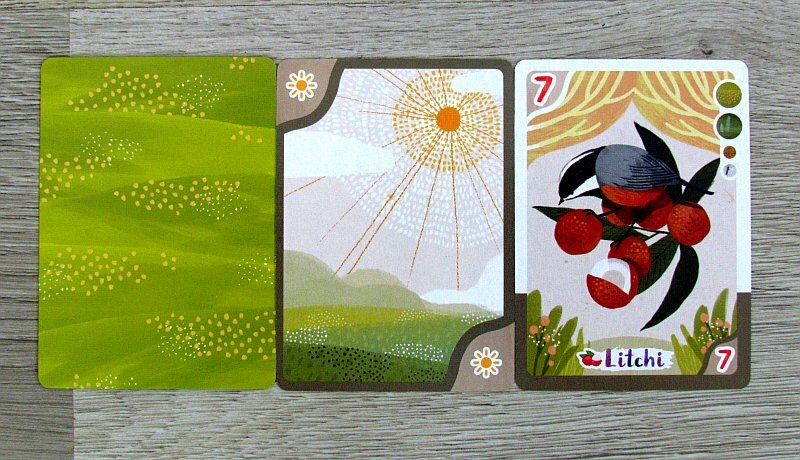 The other four cards will players get in their hands and they will also place three cards in front of them – one plain, one mountain and one hill. Players alternate on the turn, when they can always choose one of the two events offered. First of all, they can cultivate and play one card from the hand. Its type will decide if it’s going to be sowing (inserting the card under the selected field card) or planting (placing the card in the box). However, the other activity can only be done on a field, that already contains some plant under the card. However, if a player has a fertilizer card in hand, he can use it instead and fertilize some of his fields. If one of these options is not appropriate, then one card can be dropped from the hand to the common warehouse. And while there can be only one seed under each card, there may be several crops growing up there. 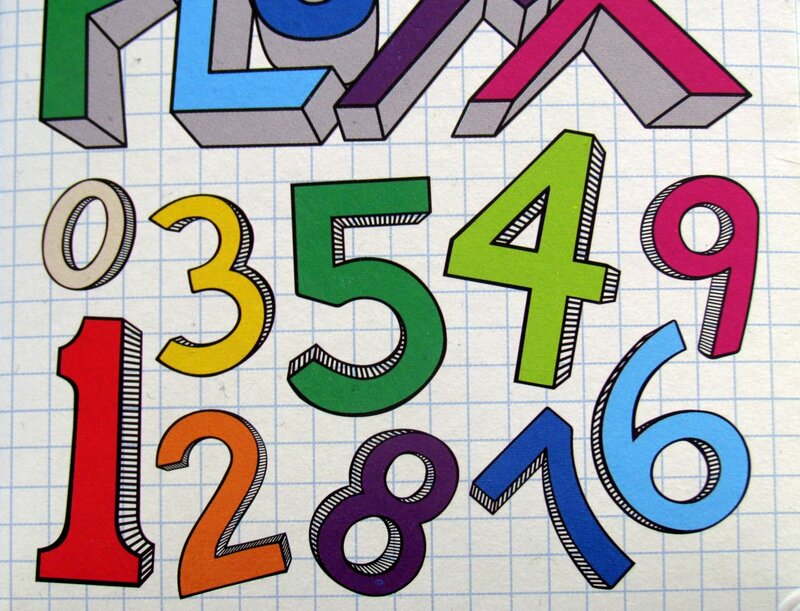 Their limit is set by a digit in the lower left corner. 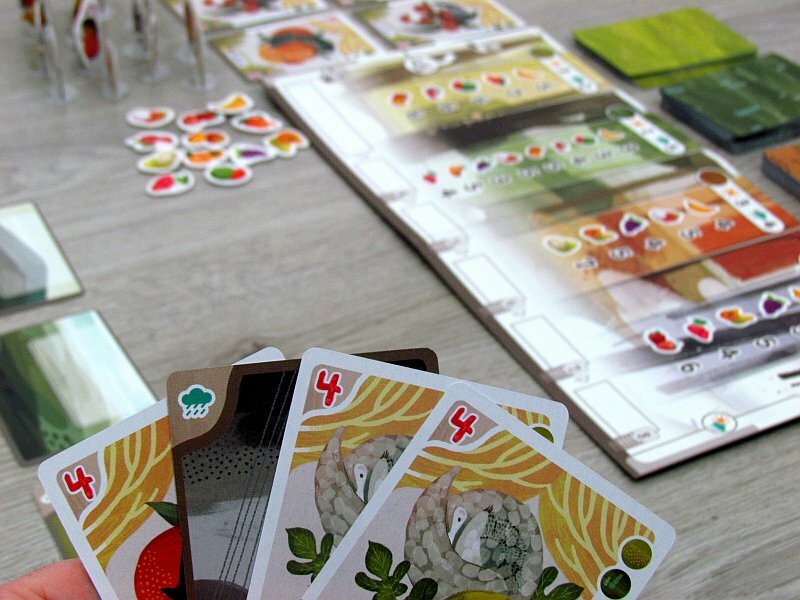 Until then, players can place additional crops on their fields. For cards that are played and used, player can draw new card from an open offer or blindly from the deck of the current season. Fertilizer cards can only be obtained by the player dropping two cards into the warehouse. If there are four or more such cards in the warehouse, they replace the offer in the inventory line. 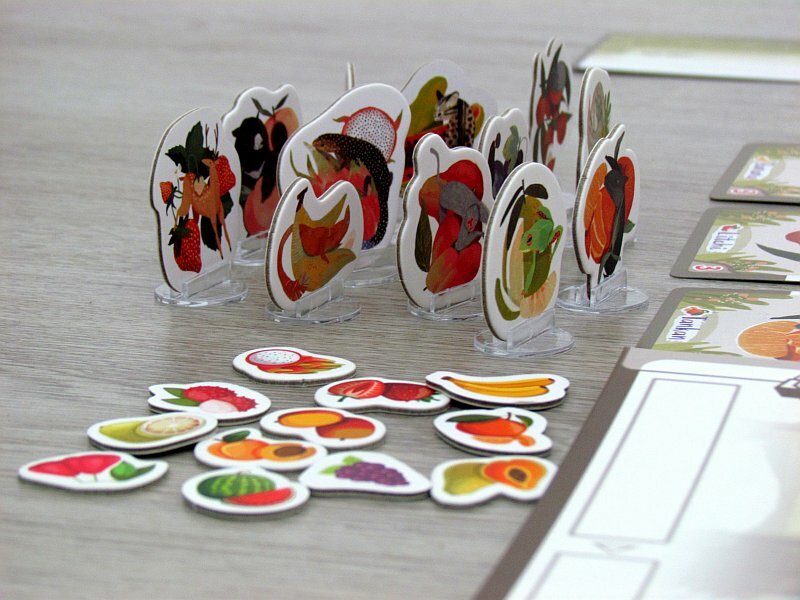 Instead of this whole procedure, player can choose a second action and this is a much more interesting and fun harvest. 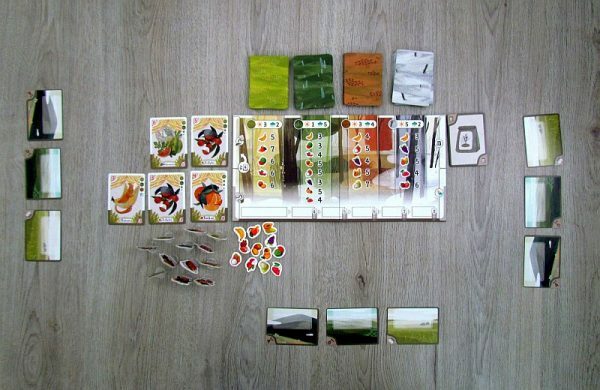 So he can choose one or even more fields from which all growing crops are placed in his scoring pile. Seed, that have not grown, and possible fertilizer should be put aside at the same time. 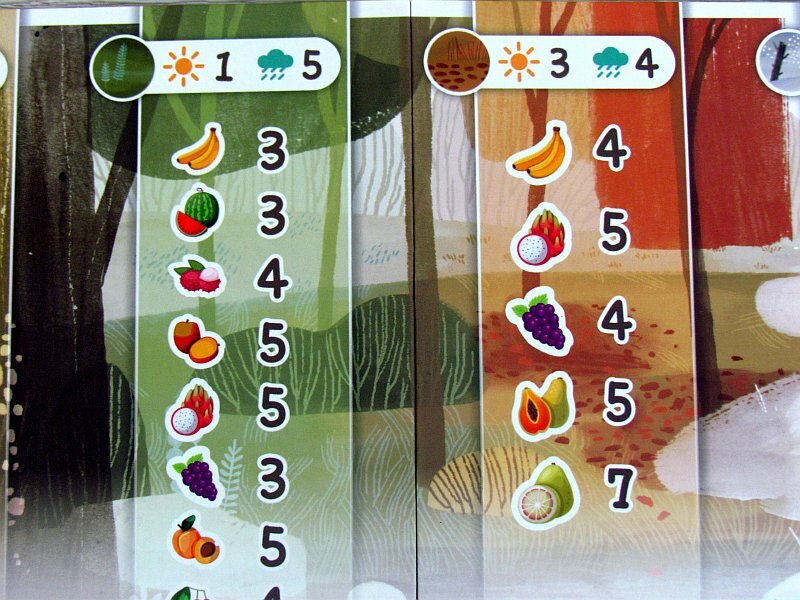 If there is enough value in the harvest with some fruit, player can also get animal medal at the same time. But it will be wandering in later rounds, if someone else grows fruit of that type in higher value at one time. 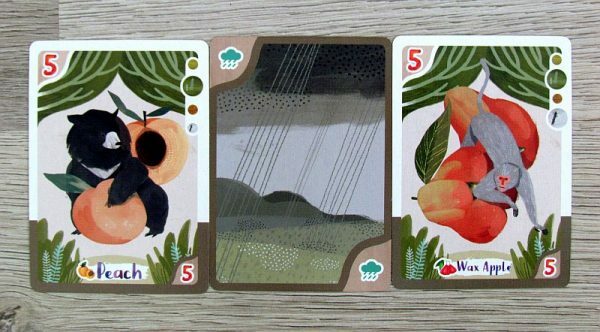 As soon as three cards of the same weather (such as the sun or rays of rain) are played on the board, disaster strikes. Some fields will be disturbed by the water or the sun and the number of their crops will drop. Players continue going through packages of other seasons until the winter cards are depleted. 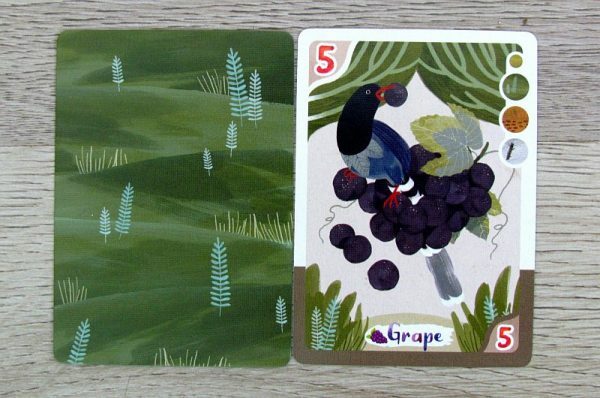 Now all the players will add up their point of profit corresponding to the small numbers on the left on the fruit cards they have managed to harvest. Rewards will also be paid for their fields and their contents. To do this, you need to add points for the animal badges of the harvest (each has value of eight points!). One of the opponents, who has the highest sum, can at this time celebrate the victory. Harvest Island is a bit of a common card game about collecting sets. 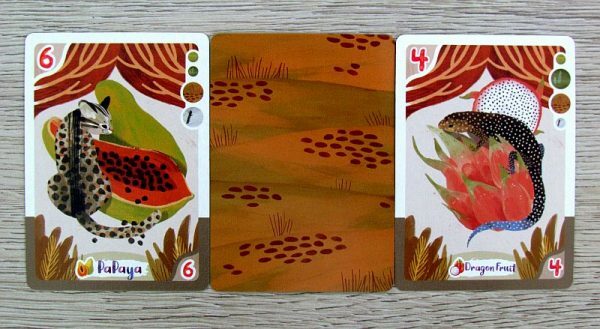 Players need to grow the same crops on their fields so they can score them and get a bonus animal token. 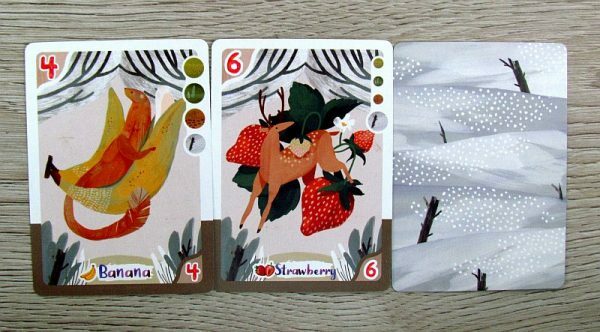 Considering the fact, that the fruit cards themselves are usually lower valued (even three or five points), the eight-point injection is well-known. 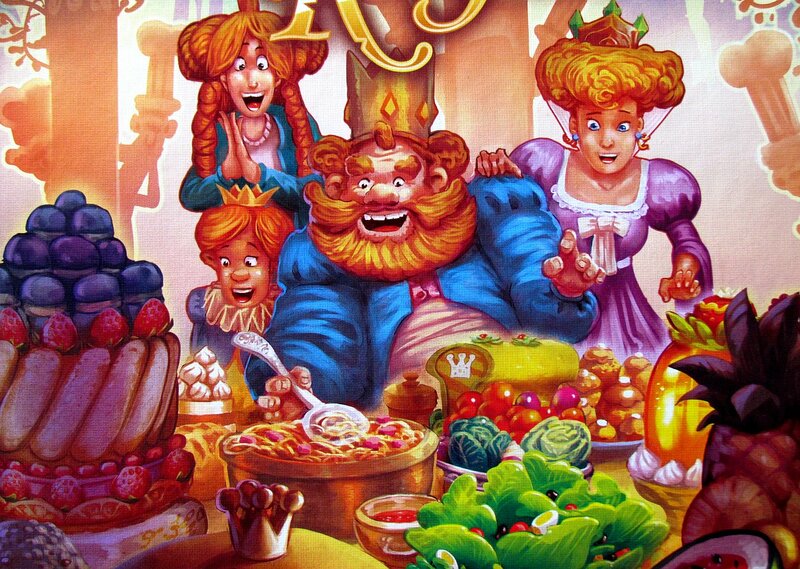 But thanks to this, the game is also solidly competitive, because the players are betting these tokens. There is only one piece of every fruit, and although the requirements for its profit increase (by moving the fruit token on the scale), its owners often change. 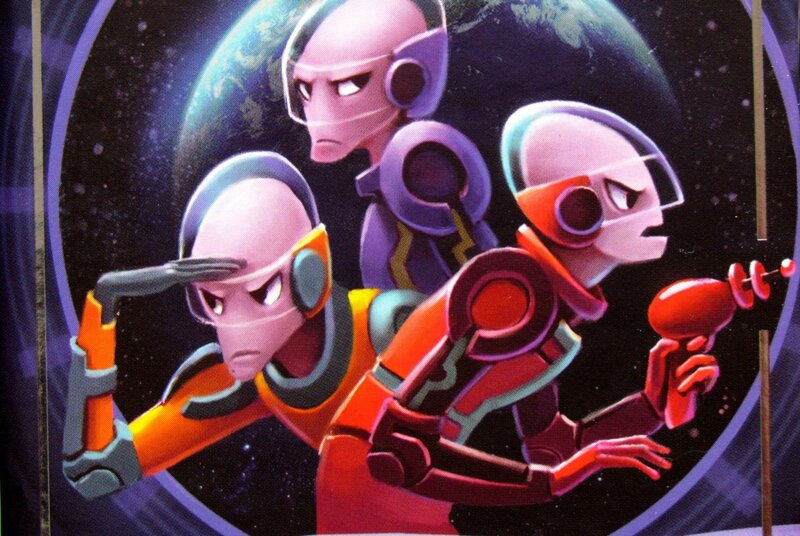 What is important is that the game gives players a choice of multiple cards and they do not have to draw blindly. But sometimes the player can pull the card out of the deck and surrender to the coincidence. 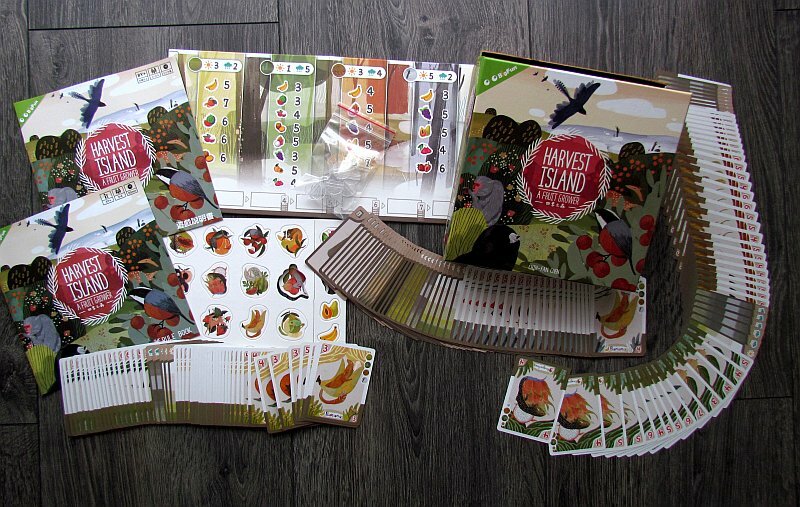 But when we said that Harvest Island is an ordinary card game, it was not meant purely as a critique. 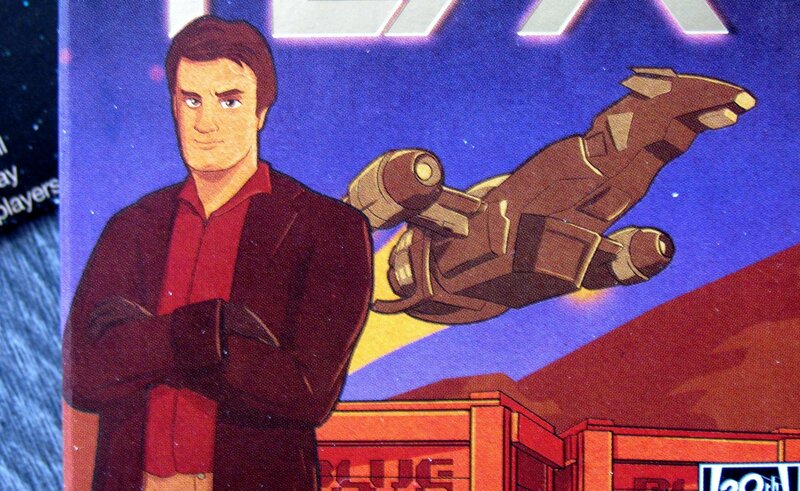 At the same time it means certain qualities, because the game is quite fun and interesting. Interesting and original are the weather elements. Rain or sunshine cards are gradually revealed as they are shuffled into the buildup piles of fruit. Whenever a few opposing species appear, they interfere with each other. But as soon as a third card of the same kind appears without being thrown away, all the players will be discharged. The field growing is two-step process, making the game a little more interesting and placing cards more challenging. Matches may be unnecessarily long. There is quite enough cards in deck and before the players go through them, it takes long. 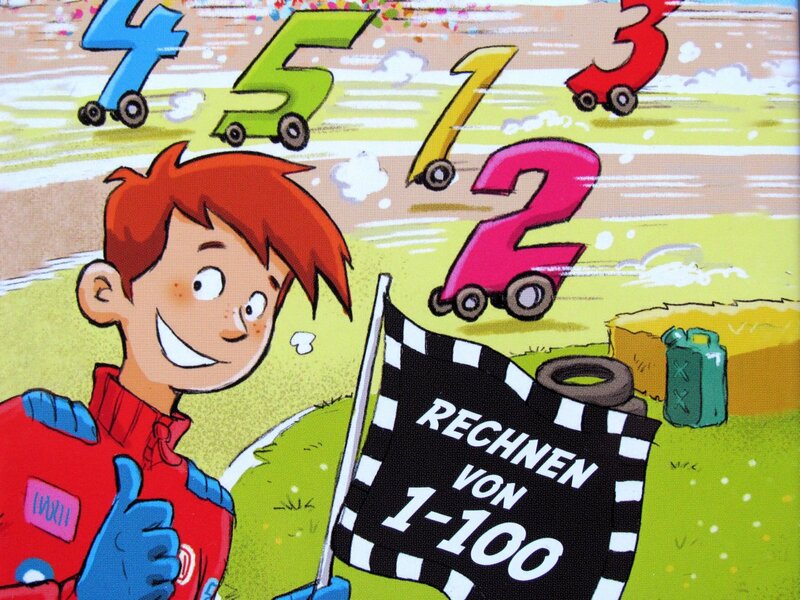 Depending on the number of participants, you can postpone some, but then you feel that the game could be shorter. 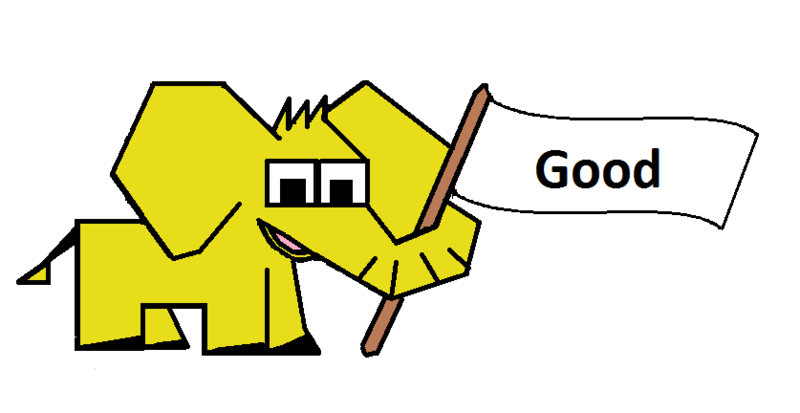 Otherwise, there is, of course, a higher number of players, with more fierce competition for animal figurines, and by the time being not sure who will win. Graphics of this game are absolutely unique. It is also one of the reasons, why Harvest Island, despite its classical course, will appeal to you. 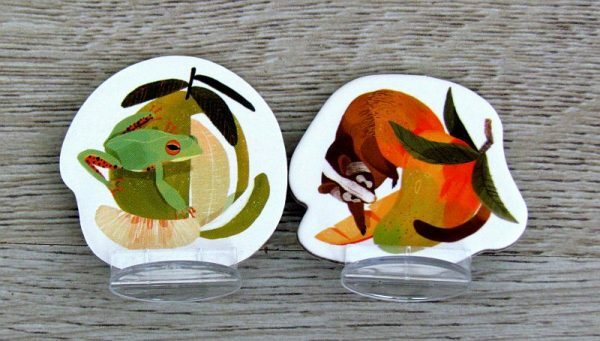 The authors went in a very original direction, but they bring one major problem – cards and tokens are not so readable, especially animal figures used as rewards for successful harvesting. 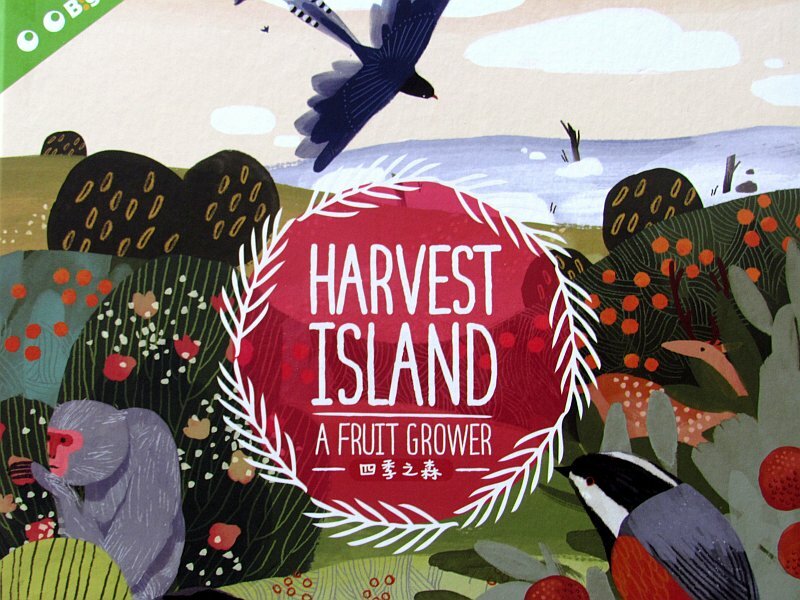 Harvest Island is therefore a very solid game that offers a stable and good experience. Not only for players’ hands, but also for their eyes. There is a nice combination of tactics and coincidence in the game, but there is also rivalry. 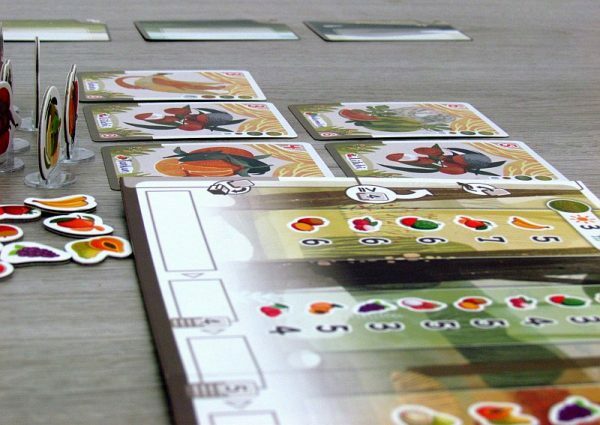 Harvest Island will amuse and not get you bored, but it may not catch you fully at heart. Harvest Island offers players the chance to get seeds, put them on the field, have them grow up by playing cards and collect them afterwards. 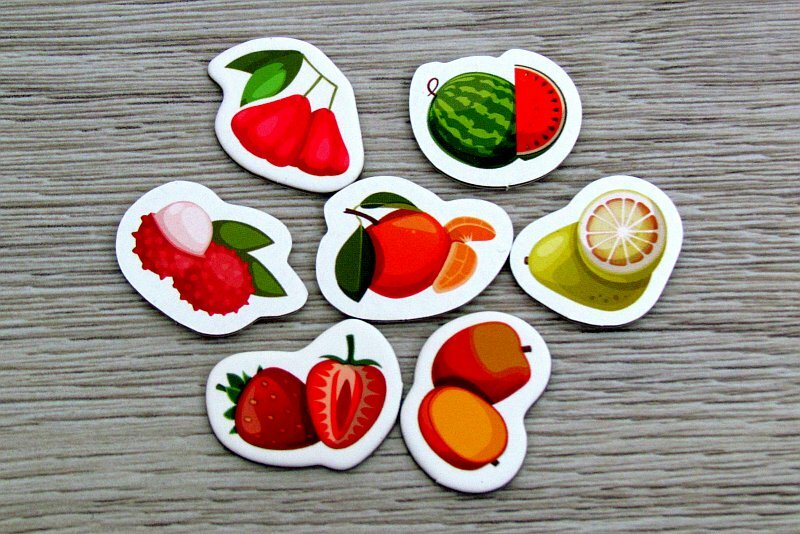 This is how everyone tries to reach large enough sets of specific fruit and thus obtain not only these harvested cards, but also take control of the figure of the fruit animal. 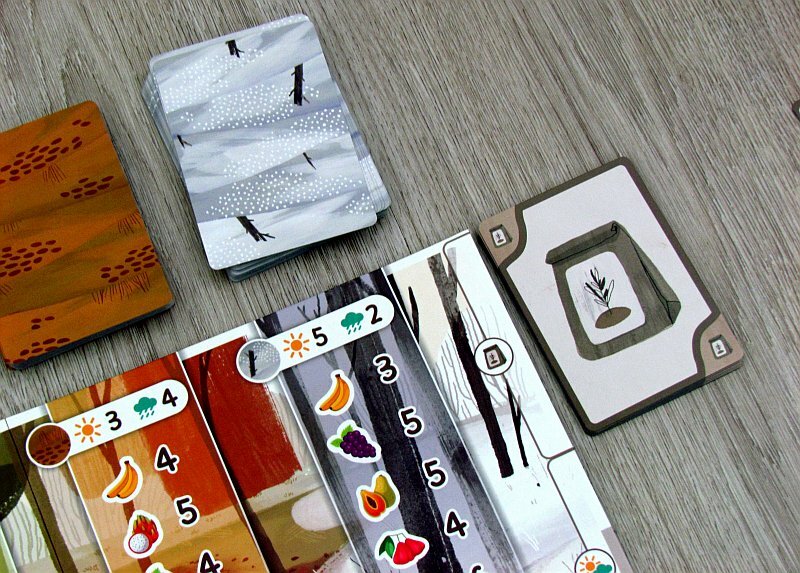 Although the game is a bit longer and sometimes it can be influenced by luck, overall, Harvest Island is a solid card game. But is it enough in today's competition?